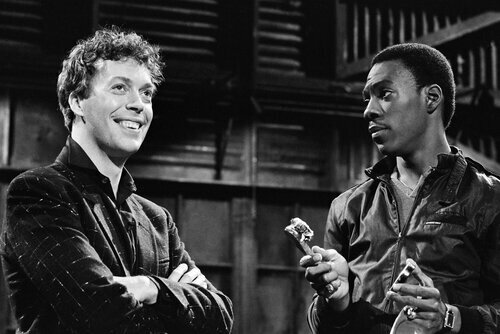 BAFTA honours SNL with a Special Award in New York. The British Academy of Film and Television Arts (BAFTA) honoured Saturday Night Live on Thursday 4 October, at DUMBO House, New York, with a Special Award to celebrate its influence on television comedy in the UK and around the world. 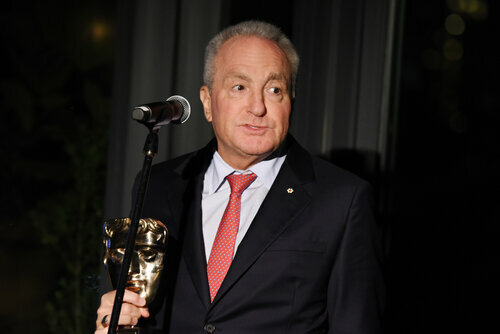 The BAFTA Special Award was presented by Sir Patrick Stewart to Saturday Night Live’s creator and producer Lorne Michaels at a private event, in partnership with Cadillac. 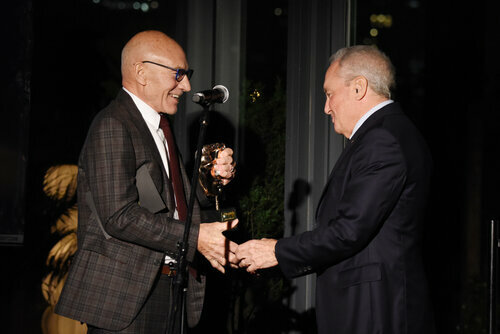 Sir Patrick Stewart said: "It is my absolute pleasure to present this Special Award, celebrating the exceptional achievements of Saturday Night Live, a series that has discovered, nurtured and celebrated generations of comedy talent. So many British shows have been inspired by you." 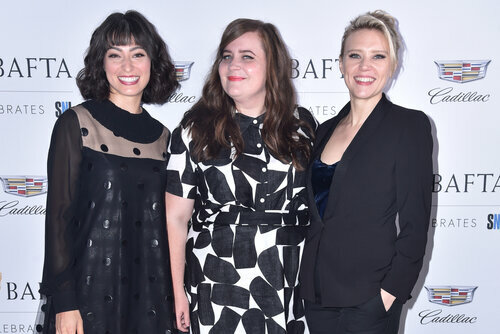 Saturday Night Live cast members Kate McKinnon, Aidy Bryant and Kenan Thompson as well as Simon Pegg, all attended the event. The popular show has unearthed some of the most famous comic talents in the world, such as Bill Murray, Eddie Murphy and Dan Aykroyd, bringing laughter and inspiration to many British comedians. 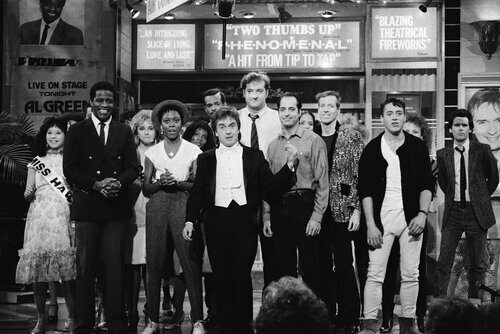 Although not broadcast on British television, Saturday Night Live still has a very special connection to the UK, having influenced British comedy and entertainment for decades with its unique formula of impressions and comedy sketches, a formula which draws in UK audiences through clips online. 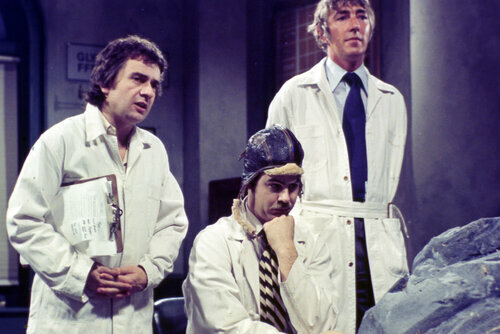 As well as the influence on the UK, it has also showcased the best of British talent to US audiences through guest hosts from Peter Cook and Dudley Moore in the first season to Benedict Cumberbatch and Emily Blunt in 2017. As one of BAFTA’s highest honours, the Special Award is presented to celebrate exceptional achievement in film, games or television. 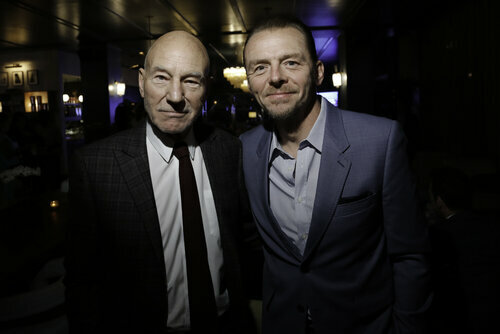 Find out more in the original BAFTA press release announcing the honour.